What’s new in the Templeman Library? By September 2017, there will be some changes to the Templeman Library’s layout, borrowing rules and more. The Library becomes one: the four blocks of the Library will join up, with full internal access. 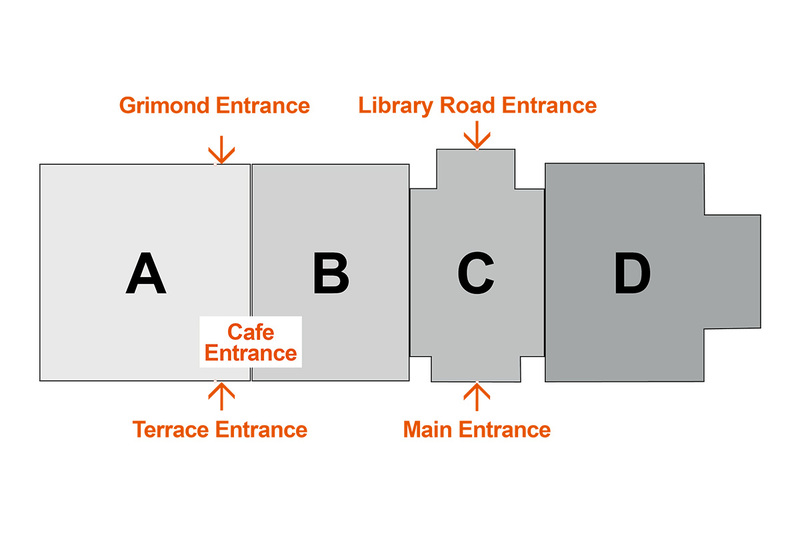 Four entrances give easy access: the Main Entrance and Library Road Entrance will open onto the new Welcome Hall. 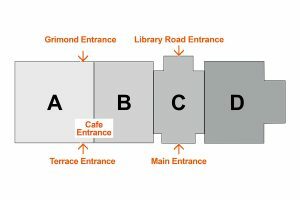 The Terrace Entrance and Grimond Entrance will stay open, and the old East Entrance will close. Key services move: the Welcome Desk will move to near the Main Entrance. The Loan Desk and IT and Library Support Desk will move together to Floor 1, C Block. Book moves: the Core Text Collection will merge with the Main Collection, and some subject areas will move for ease of access. Study zones: silent study zones will stay as they are. The rest of the Library will be for quiet or group study, with furniture and spaces to suit all styles. Find free study spaces: a new ‘Find a study space’ service will show onscreen where there are spaces around the Library. New teaching spaces: 6 new seminar rooms and 2 new digital classrooms in A Block, plus the Templeman Lecture Theatre. Takeaway cups allowed: you can bring any drink into the Library, as long as it’s in a secure container with a lid – this now includes takeaway cups. The Library Cafe will offer compostable takeaway cups. There will be liquid disposal bins around the Library. Borrowing: you’ll be able to borrow up to 40 items at once. Books will auto-renew, unless someone else reserves them, and you’ll only get a fine if someone reserves a book and you don’t return it on time. LibrarySearch will look slightly different with an improved interface. 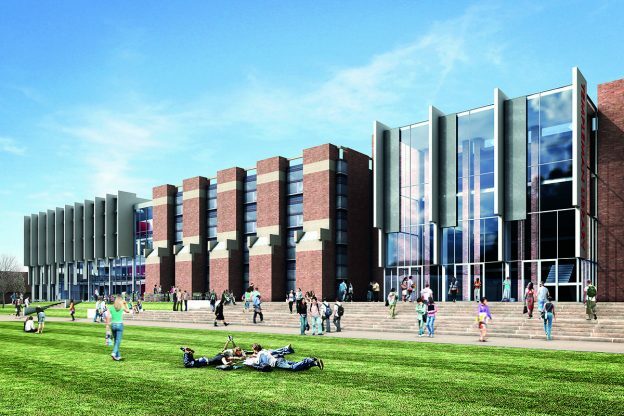 View slideshow: 10 things you should know about the new Templeman Library. This entry was posted in Campus online, Student Guide on 27 June 2017 by George Williams. Medical imaging benefits from advances in many branches of mathematics. At the same time, the needs of the medical diagnostic technology pose new mathematical challenges. This talk surveys a few problems that have appeared in Professor Marti­nez Finkelshtein’s collaboration with specialists studying some pathologies of the human eye, in particular, of the cornea. 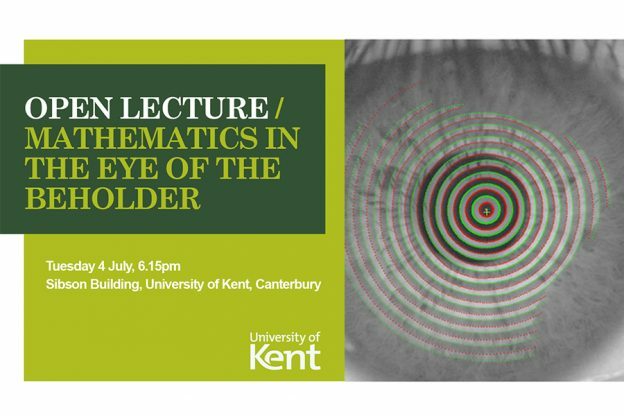 The lecture, entitled `Mathematics is in the eye of the beholder’, will be delivered by Professor Andrei Marti­nez Finkelshtein, an expert in the applications of mathematics to human vision. Andrei Marti­nez Finkelshtein is a Professor of Applied Mathematics at the University of Almeri­a, Spain, and founder and Director of Research and Development at Neurobia Research. The lecture takes place on Tuesday 4 July from 18.15-19.15 in the Sibson Lecture Theatre 3 on the University’s Canterbury campus. It is free and open to all. Parking is free on the campus after 17.00 and refreshments will be available in the Sibson atrium from 17.45. The Department of Modern Languages is pleased be hosting an event on Forced Sterilisations in Peru and the Search for Justice, sponsored by the Canterbury branch of the University and College Union (UCU) and the Kent Centre for Law Gender and Sexuality, following a successful presentation on the subject at Amnesty International in London. The event will be held on Wednesday 28 June at 17.00, in Grimond seminar room 3. The event will feature human rights defender Esperanza Huayama, president of the Association of Forcibly Sterilised Women from the region of Huancabamba in Piura, who will be speaking about her experience in seeking justice and reparation. Between 1996 and 1998, some 200,000 women and around 30,000 men were forcefully sterilised, many without their consent or understanding what the procedure meant for their fertility. The victims have been campaigning for justice and reparation for two decades. This meeting is an opportunity to learn more about what this policy consisted of as well as its longer-term consequences. 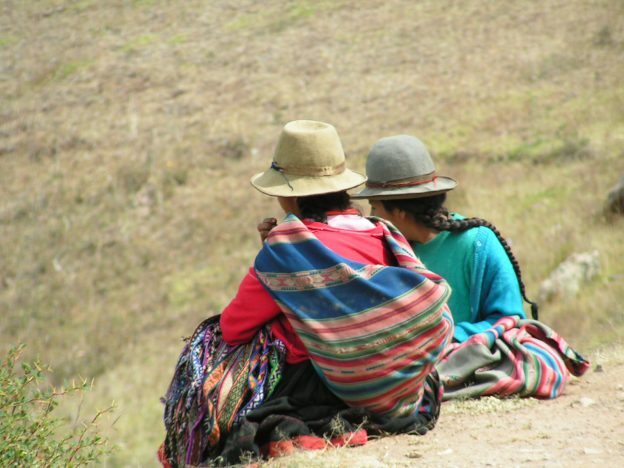 During the event, a documentary about Esperanza Huayama’s search for justice by Inés Ruiz will be presented alongside the Quipu Project, an online and telephone platform that has provided a channel for many victims of sterilisation to place their stories. Documentary-maker Inés Ruiz was an Associate Lecturer at Kent, where she completed her PhD in Hispanic Studies. The event will be followed by an open discussion. This entry was posted in Campus online, Student Guide on 23 June 2017 by George Williams. Staff Connect, the new self-service for employees launched on Wednesday 21 June. At this time, we are aware that some teething problems remain and are in discussions with the supplier to get these resolved quickly, however, we believe that sufficient support is in place to help any staff that might be hindered. We have already delivered a number of drop-in sessions at both Canterbury and Medway campuses and more are planned. HR and project staff are available to help with any queries you may have and to offer support in accessing the system. Further information on these sessions can be found at the Staff Connect website. You will now be able to access and/or update some of your personal information, as well as view your payslips online. This means there will be no hard copy payslip sent out for June, employee payslips will only be available online. The introduction of Staff Connect has many benefits to both the University and to the employee, such as easy access to personal information (via a secure portal), reduced stationery and printing costs and as records are centralised, there is no need to maintain locally held records that typically become out of date very quickly (e.g. emergency contact details). 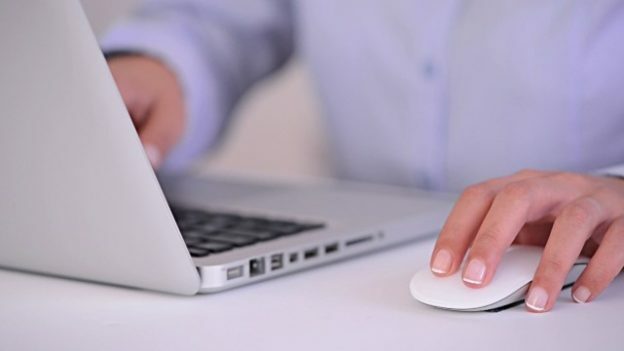 If you’d like to refresh your knowledge on using Staff Connect, you can find help and support available online on the Staff Connect Project page. Please note: The recommended web browser for using Staff Connect is Chrome, especially if you want to download copies of your pay documents. Or as a Manager if you wish to use some of the Manager functions for which it is essential. If you do not have Chrome on your personal device, you can download it directly from Google. This entry was posted in Campus online on 23 June 2017 by George Williams. Lunchtime staff BBQ – last chance to book! The Vice-Chancellor very much hopes you can join her for a lunchtime BBQ she will be hosting in July. Deadline for RSVP extended until end of Tuesday 27 June 2017. Please register for your chosen location via the link below and bring your ticket with you on the day. Vegetarian and vegan food will also be provided, but please do email events@kent.ac.uk if you have any other dietary requirements. 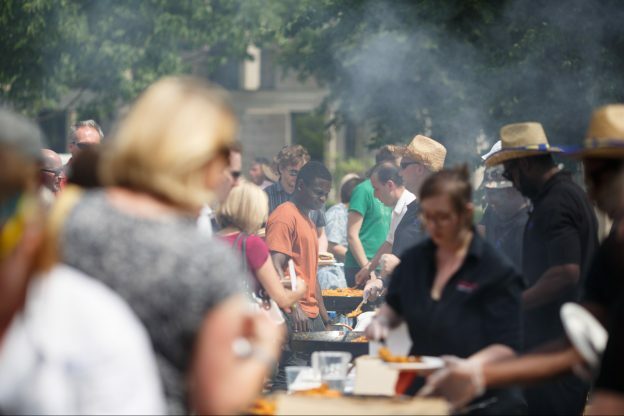 The BBQ is a free event for all University of Kent staff and is an ideal opportunity to come together and enjoy a shared lunch break. This entry was posted in Campus online on 23 June 2017 by Charlotte Crooks. Buy your NUS Extra card today either online or in Mandela reception and receive some fantastic Summer savings! 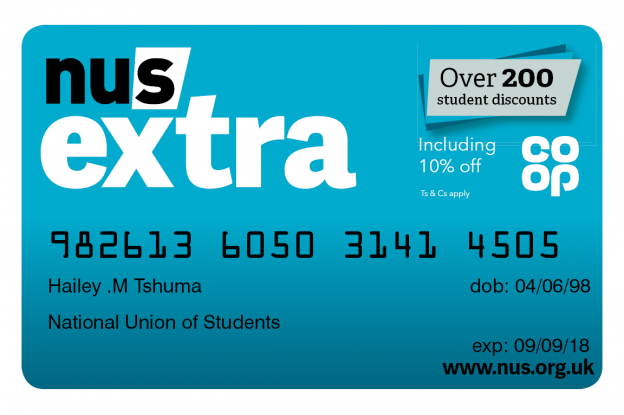 NUS Extra is available for staff and students and comes with 1 year FREE International Student Identity Card (ISIC), meaning you can keep saving whilst on holiday. ISIC is recognisable in over 130 countries. Did you know you can also save on local attractions such as, Dover Castle, Leeds Castle and Canterbury Tales? For more information please contact Lizzie Norcott on L.Norcott@kent.ac.uk or 01227 824694. On 26 June until 30 June 2017 between 09.00 to 16.30, the Hot Water Services Calorifier is being stripped down for its biannual insurance inspection. Hot water services will be disrupted during this time. We apologise for any inconvenience this may cause and if there are any queries, please contact the Estates Helpdesk on ext.3209. This entry was posted in Student Guide on 22 June 2017 by George Williams. 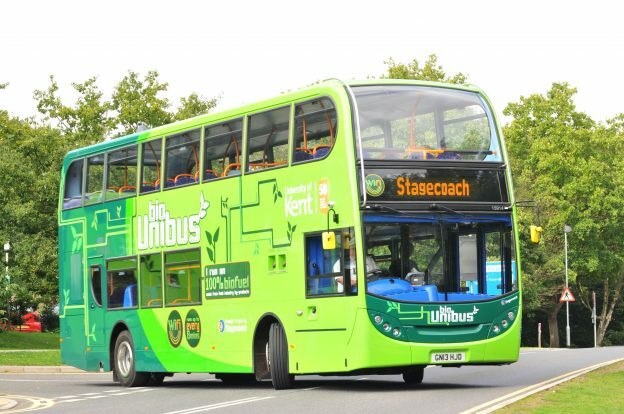 University of Kent staff can purchase a significantly discounted bus ticket from the Security and Transport Centre. You can choose between the Megarider (Canterbury zone) or Megarider Gold (Kent and East Sussex). This entry was posted in Campus online on 22 June 2017 by George Williams. “Making Waves” an interview with Professor Nalini Joshi,on Thursday 29 June, 14.00-15.00, Sibson Lecture Theatre 3 (LT3). An opportunity to hear stories and advice from Professor Joshi, a passionate advocate of gender equality in science, and a senior academic leader. (You do not need to know about solutions of integrable systems and universal models in physics for this to be accessible to you!) Professor Nalini Joshi is the Georgina Sweet Australian Laureate Fellow and Professor in Applied Mathematics at the University of Sydney. She was appointed an Officer of the Order of Australia in 2016. This event is open to ALL colleagues, ALL genders, and ALL disciplines. Booking is not required for this event, but we will be taking a register on the day to log attendees. In the meantime, if you have any questions regarding this Aurora @Kent event or the Aurora Programme, please do not hesitate to contact Jena Dady, Learning and Organisational Development Adviser J.Dady@kent.ac.uk. This entry was posted in Campus online on 21 June 2017 by George Williams.